Westchester County Executive George Latimer has announced the appointment of several key members to the Westchester County Probation Advisory Board. 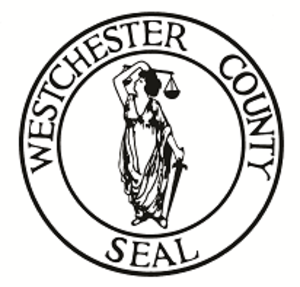 Latimer signed an Executive Order to create the Board, which will be comprised of a diverse group of members who have a deep knowledge of our local communities and criminal justice system, who can assist with providing guidance to the Westchester County Department of Probation. Latimer will appoint six members of the Correction Advisory Board, and the Board of Legislators will appoint three. The Commissioner of the Westchester County Department of Probation will also serve as an ex officio member of the Board. Ann Barringer Spaeth, Rye – Barringer Spaeth has served as the Executive Director of the Council of Community Services for Port Chester, Rye Town and Rye Brook for many years, managing several committees including Housing, Health, Seniors and the Cares Community Coalition. Spaeth’s extensive experience includes serving as a Program Administrator at the Westchester County Youth Bureau, and as an Executive Committee member of the Anti-Racist Alliance. James Burke, Rye – Burke served as Director of Executive Security for Lehman Brothers Inc. for 14 years, and Director of Security and Safety and the New York College of Podiatric Medicine for four years. Burke also served as a Detective Investigator for the NYPD for 21 years, and on the FBI’s Presidential Task Force on Organized Crime. Monique Clarke, Yonkers - Clarke has extensive experience in Property and Asset Management, accounting, marketing and sales. As Business/Asset Manager of Bronx Housing Initiative LLC, Clarke is involved in all real estate activities from acquisition to disposal of residential properties, including financial management, vendor selection, negotiating contracts and managing timelines. Clark also served as Assistant Program Director for the Nepperhan Community Center in Yonkers, and as Executive Assistant to the Chairman of the Yonkers Violence and Gang Prevention Coalition. Brooke Jones, Warwick – Jones began her work in corrections in 1997 in Goshen. Jones did field training in Dutchess County. Jones previously worked as a Sergeant for the Dutchess County Jail, in addition to working as a Corrections Officer at the Orange County Correctional Facility in Goshen. Fernando Martinez, White Plains, Chair – Martinez serves as Director of Project Management for Urban Health Plan in the Bronx. Martinez is responsible for managing the design and construction of various capital projects and identifying and coordinating private and public funding applications. Martinez previously held positions with the U.S. Department of Housing and Urban Development, the MTA and the Port Authority of New York and New Jersey. Carol Miller, Larchmont – Miller is an attorney in the regulatory/white collar defense group at Wachtell Lipton Rosen & Katz in Manhattan. She is a member of the New York City Bar Association’s Task Force on Mass Incarceration, which focuses on the need for reform in mandatory minimum sentencing, expanding alternatives to incarceration and eliminating or reducing the financial conditions of pretrial release. Jen Lackard, Bronx- Lackard is the founder of Re-Entry Link, a multi-platform consulting firm that oversees the implementation of social impact programs that overcome barriers to re-entry for offenders. Lackard’s initiatives include a campaign to encourage policy modifications around the formerly incarcerated, as an untapped talent pipeline for the workforce. Emily Tow Jackson, Pound Ridge – Tow Jackson is the Executive Director and President of the Tow Foundation, Inc., which supports nonprofit organizations that help vulnerable populations and individuals become positive contributors to society. The Tow Foundation funds nonprofits in the areas of juvenile and criminal justice reform, innovative medical research, higher education and cultural institutions.